Jo Guldi’s brings us back to the beginning of modern history, with the emergence of landscape and nationalism as prominent subjects of history stating, “As nation became the subject of history, landscape description became its lens.” Jules Michelet’s work History of France (1833) is considered one of the first works in the genre as he looked at the physical make-up of the provinces that made the nation. These early historians of nationalist landscape toured the country, combing through various archives, to conduct their historical research on their nation. The first shift in this nationalist identity based in landscape came in the early 1900s, when historians analyzed the city as modern civilization over the nation, previously defined by its physical descriptions. The examination of the city valued the social aspect of urban society and middle to upper class construction. But, by the mid-twentieth century, privileging the city and nation as the prominent forms of study became an outdated practice since the fascination with geography in connection with economy was a result of it being new. Postnationalism was another turn in spatial thinking, as historians shifted towards common settings, such as suburbs and domesticity, encouraging a sense of belonging among strangers in shared experiences. This change, Guldi argues, leads into a cultural turn in the 1980, which is where she abruptly ends her timeline of spatial turns. Museums are experiencing a change with the growing popularity of mobile media and other digital components. Russick points to this change and asks a multitude of relevant questions for consideration. His main question is, “What is the role of the artifact when learning increasingly occurs in a digital form?” As a father, he sees technology change his son’s learning and as a museum curator, he understandably contemplates what this means for museums. I have also considered this question and I believe Russick does a wonderful job of pointing out the possibilities, while acknowledging the hesitancies many have about change. He begins with the distinction that many curators are not technophobes, but they are also not technophiles. Technology is new so they are not experts, but this does not mean they fear this transition. There is room for both the museum collections and digital components in museums if one looks out of the box. Interacting with artifacts puts up a lot of walls, figuratively and literally, due to preservation concerns, but technology could create a door for visitors to explore these objects without putting them at risk. Technology in museums can be seen as an experiment, to see what works and what can be improved, but this can only work if those technologically inclined and curatorial staff collaborates. This way the collection continues to be of value to the museum by evolving with the digital era. Russick uses his own project, Chicago 00, as an example. It is a digital app that connects artifacts at the Chicago History Museum (CHM) to the surrounding community by showing images or objects where they were made, used, etc. 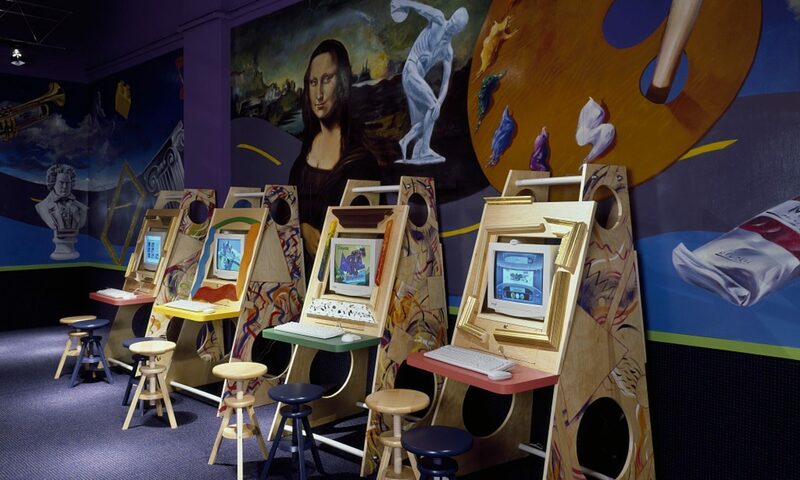 This connects not only the museum to the community, but the collection itself. As an emerging public historian, consider how technology is going to influence your work. Where do you see the digital and museums in the future? Where have you already seen examples of digital mapping and public history, similar to Russick’s app? What other opportunities or questions are there to contemplate? Jo Guldi’s “The Spatial Turn in History” reflected some of the concerns I have when it comes to my own research. The primary sources I examine are transnational; they involve people moving from one place to another, being confided to one space then another, and this physical movement, not to mention the porousness of information and ideas that they carried affected them in significant ways. And while a large portion of the archival material is state-produced and held, it does not mean that it did not include international and transnational and nonstate actors, entities, and occurrences there. How can digital tools help us avoid the mistakes, which historians have been making when studying spaces? Guldi helps us see what they were, but I think we are still figuring out ways to improve. One interesting issue is how the abilities of digital technology might lead us to falsely replicate these ideas of history as tied to the landscape further back: I’m thinking of the maps that show pre-colonial North America, with American Indian territories marked out like modern political states, though many of those groups were far more mobile than solid lines on a map convey. Do these digital creations have educational value, or do they falsely impose a modern spatial conception of what it means to be a nation or state onto groups that did not use that interpretation? I agree with Ike’s comment- Property lines and city limits are all arbitrary. Therefore, historians today need to be aware and concerned about not imposing our modern conception of mapping on history. Likewise, it is imperative to consider every aspect a narrative could have, like Laura pointed out in her comment. Kaylee- I agree with you when you state that “interacting with artifacts puts up a lot of walls, figuratively and literally, due to preservation concerns, but technology could create a door for visitors to explore these objects without putting them at risk”. However, once again, historians need to be cautious to not use technology for glamour, popularity, or to stay “on trend”. Rather it should only be used when it can enhance the learning experience. If technology is primarily being used to attract more visitors and create a “cool” experience, the role of the museum/ exhibit/ artifact is belittled and desecrated. I agree Olivia! If a digital component is simply added to stay on trend then it is not helping the museum or the visitor. It should engage the visitor in an interactive way that many artifacts can’t because of preservation restrictions. One example I remember is from a Shakespeare exhibit. The first folio had been scanned and put on a kiosk so visitors could see the physical artifact while virtually look through the book. This allowed us to interact with the artifact without endangering it. I think this was a good use of technology because it enhanced my interest in the folio by being able to virtually interact with it.